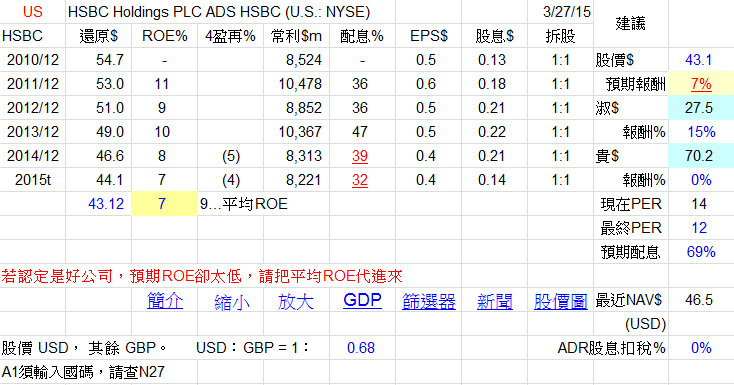 HSBC Holdings plc (HSBC) is a banking and financial services organization. The Company provides financial services to approximately 54 million customers through four global businesses: Retail Banking and Wealth Management, Commercial Banking, Global Banking and Markets, and Global Private Banking. These businesses are responsible for developing, implementing and managing their business propositions consistently across the Group, focusing on profitability and efficiency. Its international network had approximately 6,300 offices covering 75 countries and territories in six geographical regions: Europe, Hong Kong, Rest of Asia-Pacific, Middle East and North Africa, North America and Latin America. 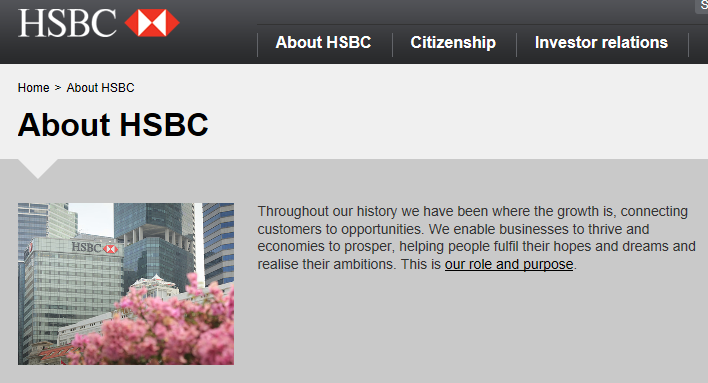 HSBC Holdings, the holding company of the Group, is the source of equity capital for its subsidiaries. The Company’s Group Management Board (GMB) works to ensure that there are sufficient cash resources to pay dividends to shareholders, interest to bondholders, expenses and taxes. 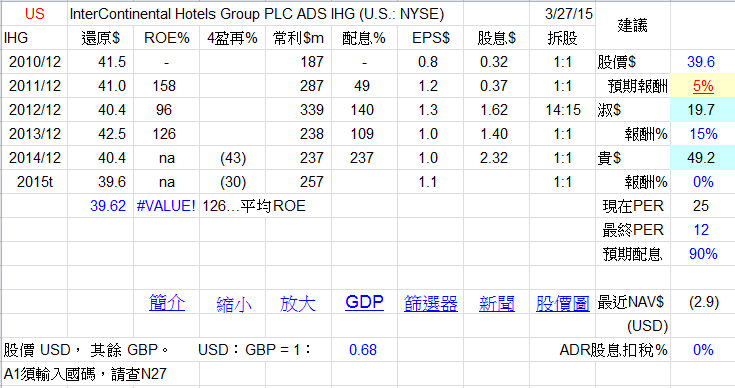 InterContinental Hotels Group PLC (IHG) is a global hotel company, operating nine brands internationally. 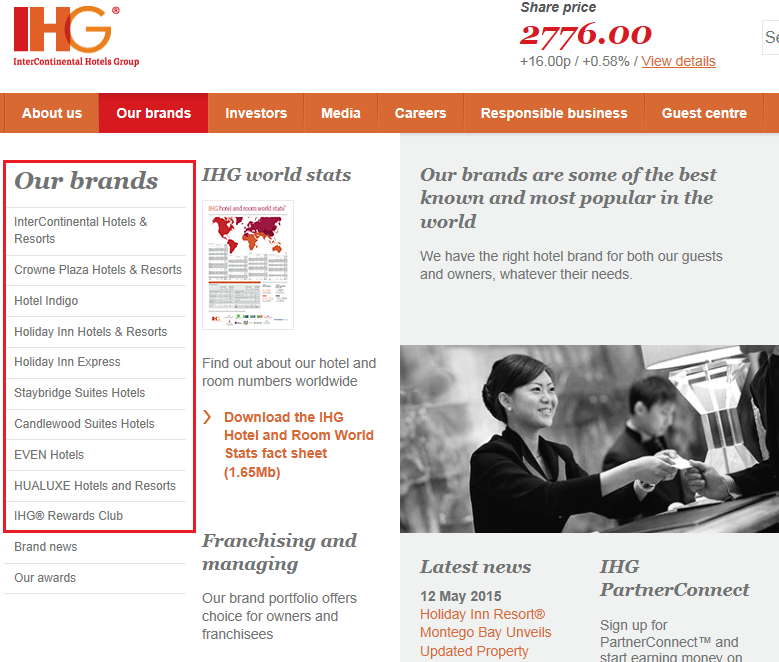 IHG is the holding company. IHG’s hotels brands include InterContinental Hotels & Resorts, Crowne Plaza Hotels & Resorts, Hotel Indigo, Holiday Inn and Holiday Inn Club Vacations, Holiday Inn Express, Holiday Inn Resort, Staybridge Suites, Candlewood Suites and EVEN Hotels. It has four geographical segments: Americas, Europe, Asia, Middle East and Africa (AMEA), and Greater China. The Company runs the hotels in three ways: franchised, managed and owned. 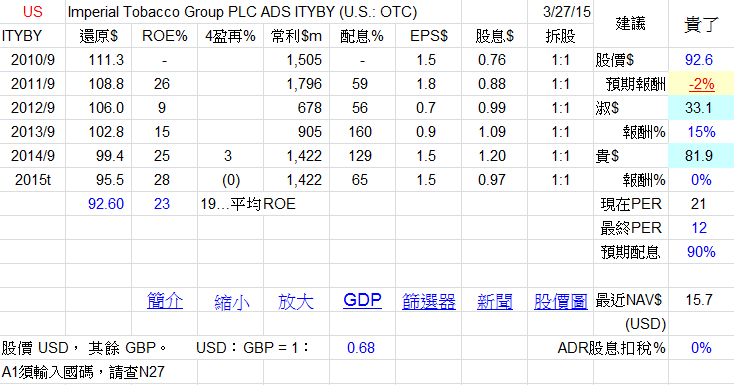 In March 2014, the Company announced that it has completed the sale of InterContinental Mark Hopkins San Francisco (the Hotel) to a joint venture between affiliates of Woodridge Capital Partners and funds managed by Oaktree Capital Management L.P. In April 2014, IHG announced the opening of the first Holiday Inn Express hotel in the Condado district of San Juan, Puerto Rico. Intertek Group plc (Intertek) is a provider of quality and safety solutions. 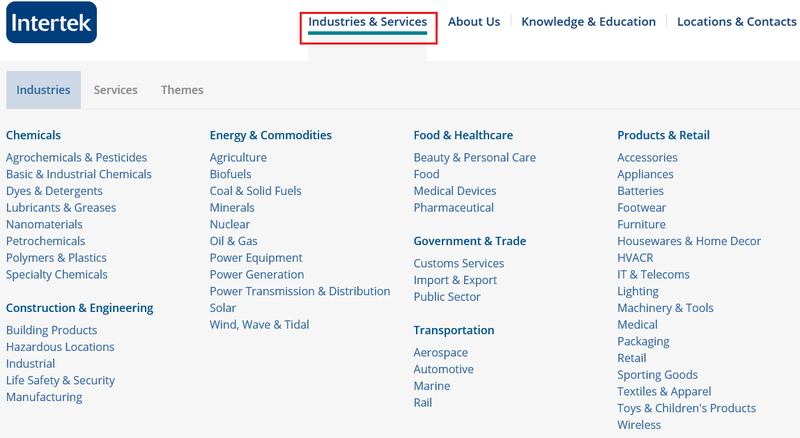 It has five divisions: industry & assurance, provides a range of services, which includes asset integrity management, engineering, inspection, auditing, certification, consulting, training, staffing and testing services; Commodities provides testing, inspection and other technical services to the petroleum and minerals industries, supports trade activities that help the flow of goods across borders; Consumer Goods partners with retailers across the globe, manufacturers and distributors to enhance clients’ products, processes and brands; Commercial & Electrical provides global manufacturers and retailers with the scope of safety, performance and quality testing and certification services, and Chemicals & Pharmaceuticals helps global industries to sharpen their competitive edge with expert measurement and consulting services through to the development of new materials, polymers, composites and packaging. Inmarsat plc, based in the United Kingdom, is a mobile satellite company. It is provider of global mobile satellite communications services (MSS), providing voice and data communications. It operates through Inmarsat Global, Inmarsat Solutions and Unallocated segments. The Inmarsat Global segment is engaged in the supply of wholesale airtime, equipment and services to distribution partners and other wholesale partners of mobile satellite communications, including entering into spectrum coordination agreements. The Inmarsat Solutions segment is engaged in the supply of mobile and fixed-site remote telecommunications services, the provision of customized turnkey remote telecommunications solutions, value-added services, equipment and engineering services to service providers and end-users. The Unallocated segment includes the borrowings and related interest expense, cash and cash equivalents and current and deferred tax balances, which are not allocated to any segment. 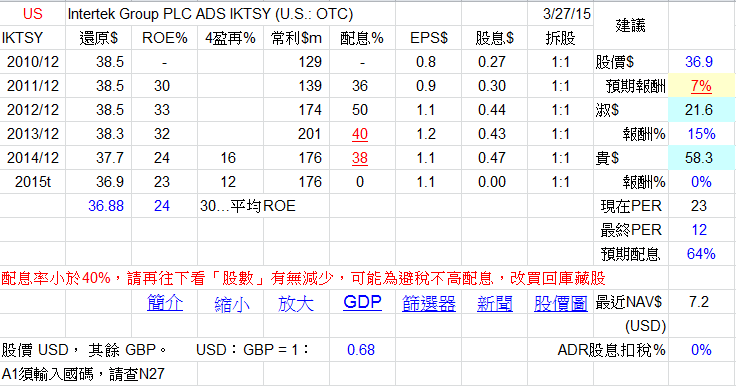 Imperial Tobacco Group PLC (Imperial Tobacco) is a tobacco company. The Company’s portfolio consists of Growth, Specialist and Portfolio Brands. Its growth brands include Davidoff, Gauloises Blondes, JPS, West, Fine, News, USA Gold, Bastos, Lambert & Butler and Parker & Simpson. Its specialist brands consist of a range of cigarette, fine cut tobacco, paper, and cigar and smokeless tobacco brands. 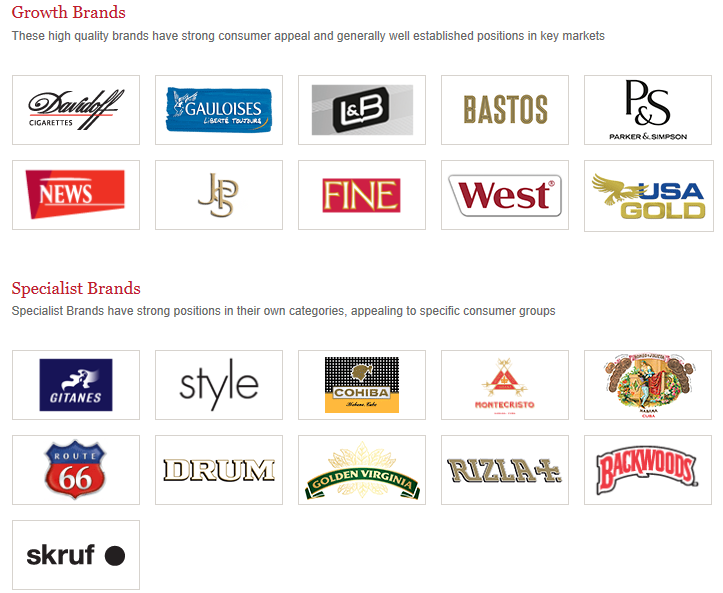 Portfolio Brands are a mix of local and regional offerings that fulfil a variety of roles. Imperial Tobacco comprises two distinct businesses: Tobacco and Logistics. The Tobacco business comprises the manufacture, marketing and sale of tobacco and tobacco-related products, including sales to (but not by) the Logistics business. The Logistics business comprises the distribution of tobacco products for tobacco product manufacturers, including Imperial Tobacco, as well as a range of non-tobacco products and services. 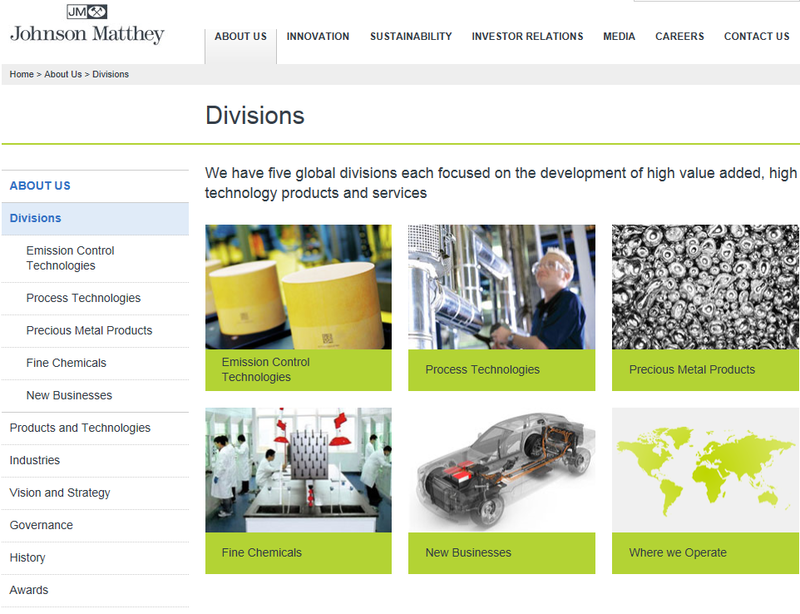 Johnson Matthey PLC is a global specialty chemicals company. It operates in five divisions: Emission Control Technologies, Process Technologies, Precious Metal Products, Fine Chemicals and New Businesses. Emission Control Technologies (ECT) comprises light duty and heavy duty diesel catalyst systems for vehicles and industry. Process Technologies is a supplier of catalysts, licensing technologies and other services to the syngas, oleo/biochemical, petrochemical, oil refining and gas processing industries. Precious Metal Products manages, distributes, refines and recycles precious metals and fabricates products using precious metals and related materials. Fine Chemicals is a supplier of active pharmaceutical ingredients, chemicals and other specialty chemical products and services to a range of pharmaceutical and chemical industry customers and industrial and academic research organizations. 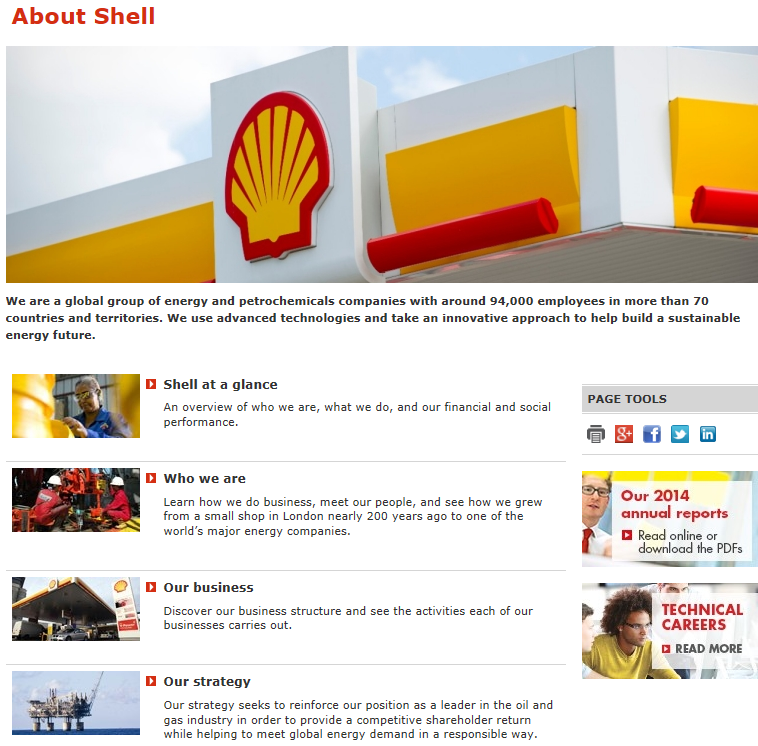 New Businesses focuses on its Battery Technologies and Fuel Cells Businesses. 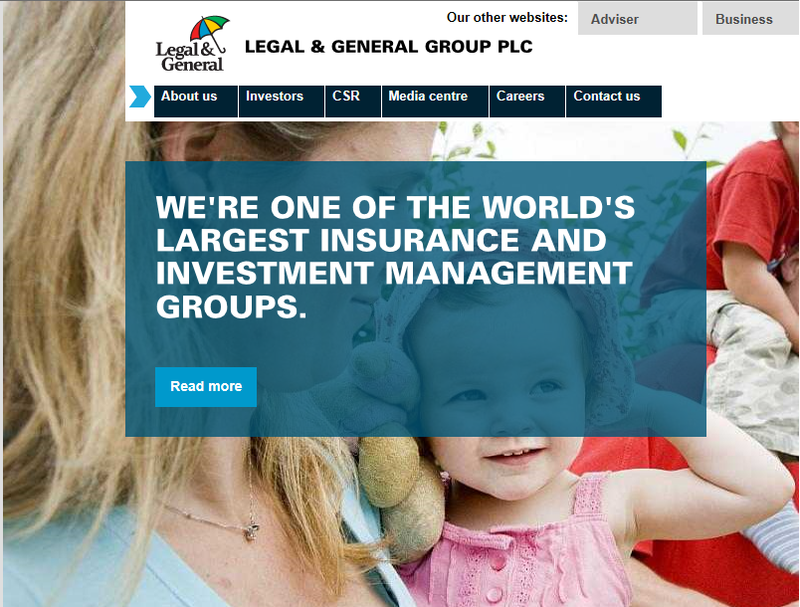 Legal & General Group plc is a United Kingdom-based company engaged in financial services business. The Company is a provider of protection, savings and investment products to United Kingdom building societies. The Company is also offers services in insurance and asset management categories. The Company operates in five reportable segments: Legal and General Assurance Society (LGAS), Legal and General Retirement (LGR), Legal and General Investment Management (LGIM), Legal and General America (LGA), and Legal and General Capital (LGC). LGAS represents protection business, including retail protection, group protection and general insurance and Savings business such as platforms, workplace, SIPPs, mature savings and with-profits. LGR represents Annuities both individual and bulk purchase and longevity insurance. The LGIM segment represents institutional and retail investment management businesses. The LGA segment represents protection business written in the United States. 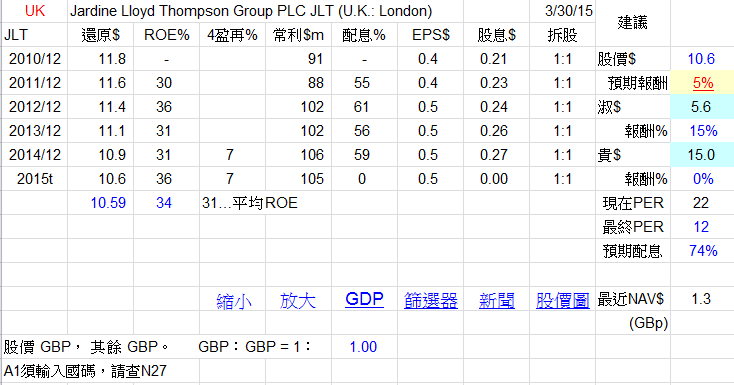 Jardine Lloyd Thompson Group PLC (JLT) is a United Kingdom-based provider of insurance, reinsurance and employee benefits related advice, brokerage and associated services. 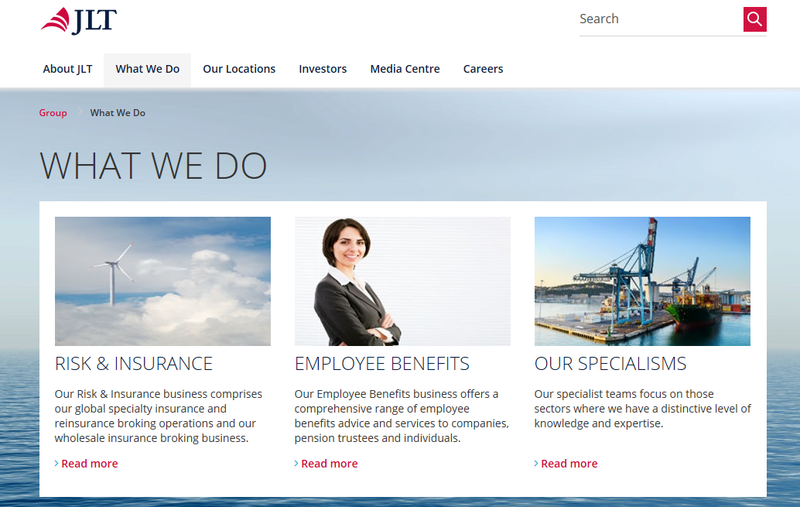 The Company operates in principal areas, including Risk and Insurance, and Employee Benefits. JLT’s Risk & Insurance group provides insurance and reinsurance broking and risk management services for clients in a wide range of business sectors. The Company provides Employee Benefits, and offers a single, centralised source for pension and benefit requirements, offering a broad range of solutions to help customers meet their business objectives as well as satisfying their employees' needs. JLT owns offices in 40 territories, supported by the JLT International Network, enabling to offer risk management and employee benefit solutions over 135 countries. The Company was formed by the merger of Jardine Insurance Brokers and Lloyd Thompson Group. Marks and Spencer Group plc is a retailer in the United Kingdom. 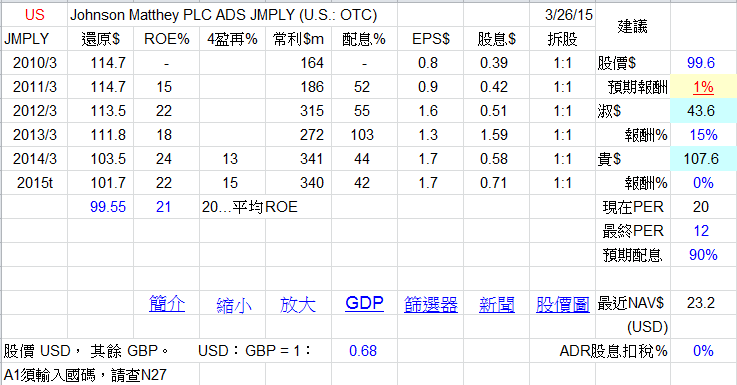 The Company is the holding company of the Marks & Spencer Group of companies. The Company operates through five segments: M&S for Business, M&S Bank, M&S Energy, M&S Outlet and M&S TV to provide the services of Christmas Shopping, Style & Living, Women, Lingerie, Beauty, Men, Kids, Home, Food & Wine, Flowers & Gifts, Outlets, Television, Energy and M&S Bank. It offers clothing and home products, as well as foods, sourced from around 2,000 suppliers globally. The Company has over 798 stores across the United Kingdom in high streets and retail parks, as well as stations, airports and other locations ranging from out-of-town and flagship stores of over 100,000 square feet, to Simply Food stores of around 7,000 square feet. The Company has over 455 international stores in 54 territories across Europe. 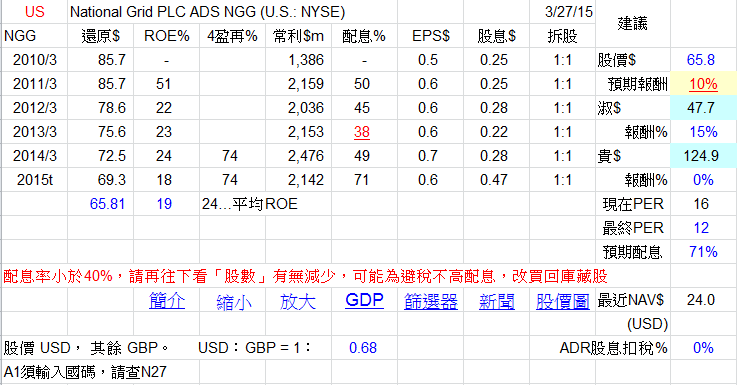 National Grid Plc is an electricity and gas utility company. The UK Electricity Transmission includes high voltage electricity transmission networks in Great Britain. Its UK Gas Transmission provides the gas transmission network in Great Britain and UK liquefied natural gas (LNG) storage activities. The Company’s UK Gas Distribution includes four of the eight regional networks of Great Britain’s gas distribution system. US Regulated includes gas distribution networks, electricity distribution networks and high voltage electricity transmission networks in New York and New England and electricity generation facilities in New York and Massachusetts. 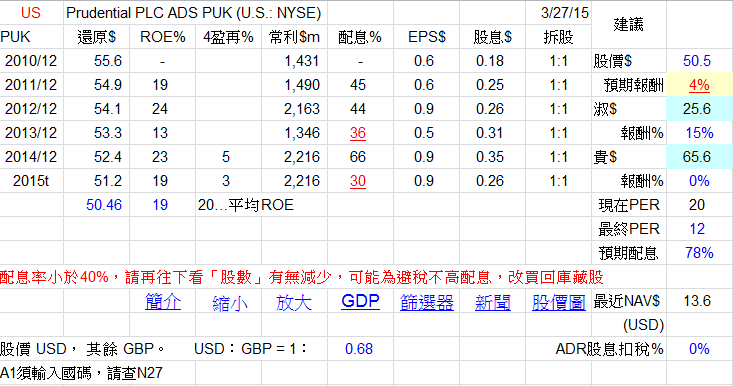 The Company’s activities primarily relate to non-regulated businesses and other commercial operations, including United Kingdom based gas and electricity metering activities; UK property management; a UK LNG import terminal; other LNG operations, and US unregulated transmission pipelines. 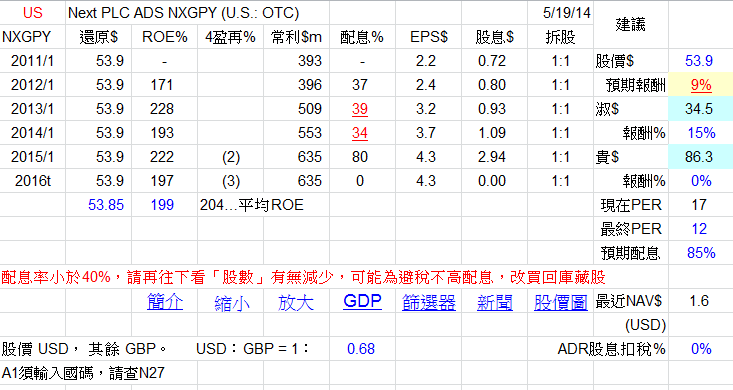 NEXT International, with around 200 mainly franchised stores around the world. Lipsy, which designs and sells its own branded younger women's fashion products. The parent company, NEXT plc, is listed on the London Stock Exchange (LSE: NXT.L) and is a member of the FTSE 100 Index. Total Sales for the year ended January 2015 were £4.0 billion with underlying pre-tax profits of £782 million. NEXT's head office is located in Enderby on the outskirts of Leicester, England. 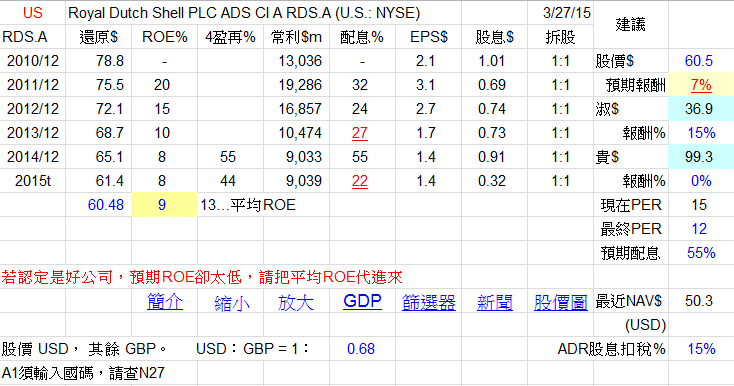 Prudential plc (Prudential) is an international financial services group, with operations in Asia, the United States and the United Kingdom. 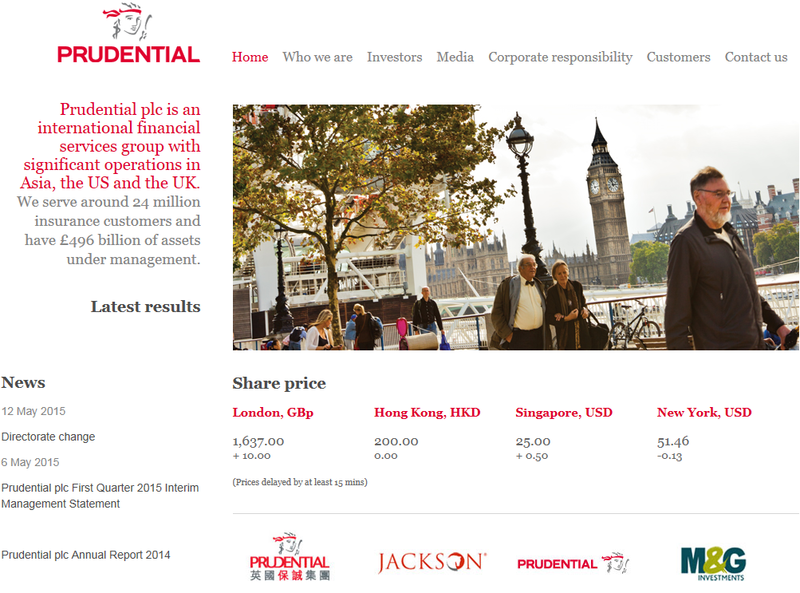 Prudential is structured around four main business units: Prudential Corporation Asia (incorporating the asset management business, Eastspring Investments), Jackson, Prudential UK insurance operations and M&G. It offers life insurance, and health and protection products, such as health, disability, critical illness, and accident coverage products. 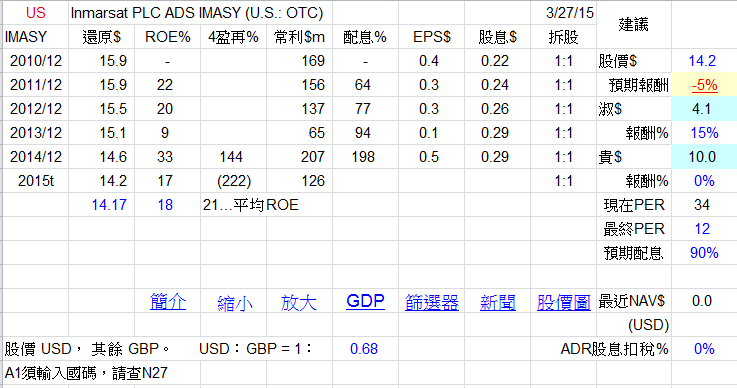 It also provides selected personal lines property and casualty insurance, group insurance, institutional fund management and consumer finance. 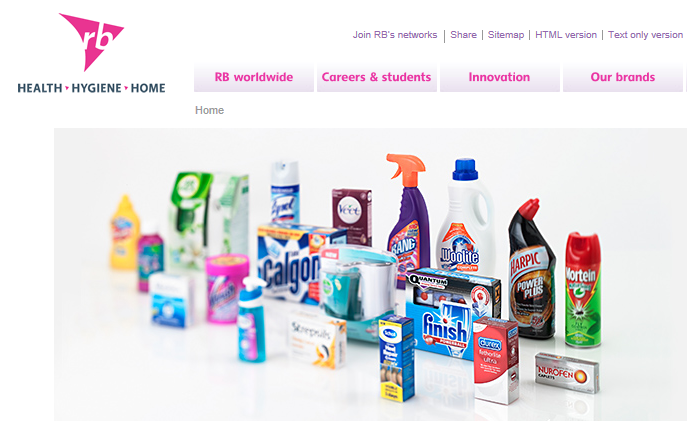 Reckitt Benckiser Group Plc is a United Kingdom-based company engaged in manufacturing and marketing of branded health, hygiene and home products, selling a range of products through over 60 companies in nearly 200 countries. The Company’s business segments include Health, Hygiene, home and Food. Products in Health category relieve common health problems. Analgesics, cold/flu/sore throat and gastro-intestinals are over the counter medications. Health segment offers 26% of net revenues. Hygiene brands promote both personal hygiene for wellbeing and home hygiene. This segment offers 38% of the Company revenue. Home care segment includes air care products which remove malodours and fragrance the air in the home. This segment offers 20% of the Company revenue. The Company’s Food segment includes mustard, barbecue sauce, hot sauce and French Fried Onions focused primarily in North America. This segment offers 3% of the Company revenue.